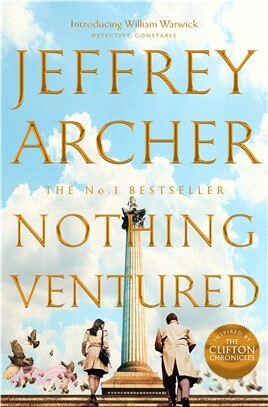 Nothing Ventured is the incredible and thrilling novel by the master storyteller and bestselling author of the Clifton Chronicles and Kane and Abel, Jeffrey Archer. This is not a detective story, this is a story about the making of a detective . . .
William Warwick has always wanted to be a detective, and decides, much to his father’s dismay, that rather than become a barrister like his father, Sir Julian Warwick QC, and his sister Grace, he will join London’s Metropolitan Police Force. Nothing Ventured heralds the start of a brand new series in the style of Jeffrey Archer’s number one Sunday Times bestselling The Clifton Chronicles: telling the story of the life of William Warwick – as a family man and a detective who will battle throughout his career against a powerful criminal nemesis. Through twists, triumph and tragedy, this series will show that William Warwick is destined to become one of Jeffrey Archer’s most enduring legacies.